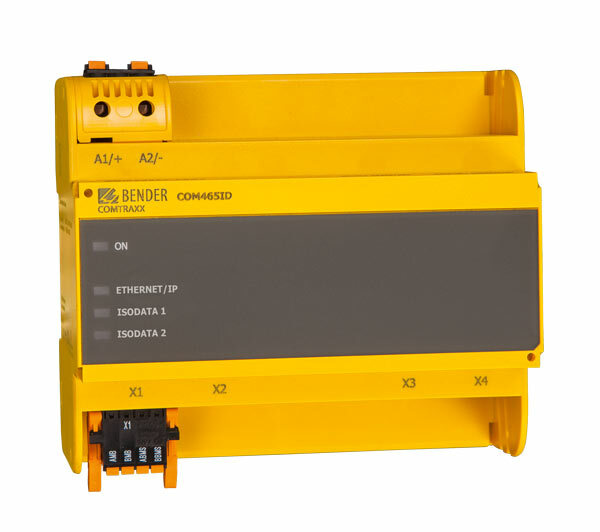 The COM465ID gateway is an extension based on the Bender COM465IP serial device. It allows to record data using IsoData and BCOM and to make them available via OPC UA and POWERSCOUT®. Information from the Bender system can be transmitted to POWERSCOUT® for analysis and archiving.